It started in line at the grocery store. And since I live in a very small town with only one grocery store, it quickly escalated into one of those uncomfortably memorable moments in life. I was waiting for the cashier to finish ringing up a six-pack of Vernors when I heard it from behind me – that unmistakable sound that any mother can identify at any distance: Gag, splatter, and a pitiful little cough. I didn’t need to turn around to confirm that my son had just defiled the checkout lane at Wagoner’s Grocery Store. But as usual with me, there is so much more to the story than just the tale of a seven year-old vomiting in public. You see, I had just interviewed for a job at that store a few days earlier. My job at the school is about to end for the summer, and I am in a full-out state of panic because I can’t find employment anywhere. The government says I am not disabled, but I am having one hell of a time finding anyone who will hire a forty-nine year old former hairdresser with a twenty-pound lifting restriction. Every job, even basic cashiering, requires a certain amount of lifting. So I’m not disabled, but I’m not physically able to get a job. Go figure. The manager at the grocery store was very honest with me. She liked me and thought I’d be a valuable addition to the team, but . . . what if a customer had a 25-lb bag of dog food or some other heavy item that had to be lifted back into their cart? I told her that I understand, and I really do understand; nobody can afford to hire an employee who can’t do every aspect of the job. I assured her that I would still continue to shop at the store and there would be no hard feelings. After all, it’s a small town. When the school called to tell me that my boy was feeling sick and needed to be picked up, I really didn’t think he was all that sick. He said his tummy felt bubbly, but there was no fever. He certainly didn’t look sick, but I’ve learned over the years that a bubbly tummy should never be ignored. I’ve also learned that the best treatment for a bubbly tummy is a few sips of room-temperature Vernors. Okay, for all of you unfortunate souls who have never experienced the joy that is Vernors, let me explain. Vernors is the best ginger ale in the known universe. Don’t argue with me that you know of something better; Vernors is simply the best. It just is. Any Michigander will agree. And any Michigander will also tell you that Vernors has medicinal uses during flu season. Whether it’s the carbonation or the ginger or just the firm belief that it really works, Vernors always seems to do the trick. But my boy is only seven; he was not old enough to leave at home or in the car while I ran into the store for his Vernors. I took him in with me, grabbed a six pack for him and a Diet Coke for me, and headed for the register. Where the new cashier was being trained for the position I had so desperately wanted. She is the mother of one of my daughter’s friends, and I was so happy to see that she got the job. She has more kids than I do, and I know for a fact that she is one hell of a hard worker with a reputation for being a fantastic employee. I can’t think of anyone in the world who deserves the job more than she does. In fact, I was in the process of opening my mouth to congratulate her when Young Faithful blew behind me. I grabbed the child as he let fly with a second stream of partially-digested carrots. I started apologizing profusely and asking for a mop while simultaneously trying to swipe my debit card. And like any good mother, I was also desperately fighting the urge to join the Puke Party. I mean, let’s be honest here. When it comes to parenting, I am not one to gently rub the puker’s back while murmuring words of comfort. No, I am more of a “If you’re gonna hurl, hurl that way” kind of mommy. I have to say that the grocery store staff reacted admirably. They cleaned up the mess and told me they hoped my little boy felt better soon, and they have asked about him every time I have gone into the store since then. Everything about that store has just gained about 100 more points on my personal rating scale for a business. They are all such nice people, so professional and caring toward every customer, even the ones who decorate the floor with a slightly used lunch. On the other hand, I am now the woman who let her sick child blow chunks all over the woman who got the job I wanted. I have just officially forfeited all rights to ever again say anything to anyone about being a good sport. About being gracious. About accepting defeat with honor and dignity. And I may never eat another carrot. This is a Finish The Sentence Friday post: “It started in line at the grocery store . . . ” hosted by Kristi from Finding Ninee, Nicki from Redboots, and Dawn M Skorczewski. Please take a few minutes to check out what some of the other bloggers did with this sentence! My ex was a firefighter/Medical First Responder, and he was in charge of all blood, sprains, or broken bones. That left me in charge of the 3 P’s — pee, poop and puke. NOT my favorite part of parenting. So with you on the “if you have to hurl, hurl that way” parenting. I mean, I’ve caught it in my hands but I fight the urge to puke myself if I hear it or see it. Gah. Great finish to this week’s sentence! The grocery store line has to be one of the worst places ever. 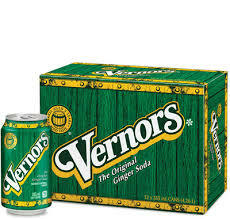 I’ve never had Vernors but I love ginger ale and now I want some! You’ve actually caught it in your hands?! ***bows down in awe*** Holy cow, you are my new hero! And you’ve never had Vernors. Ah, poor girl, you don’t know what you’re missing! If you mix it with French Vanilla ice cream, they call it a Boston Cooler. Yum! Now the only thing I take issue with in this beautifully written, hilarious piece that I am sharing everywhere is the Verners. I’m sorry. But the only ginger ale one should drink is Canada Dry Ginger Ale. Oooh, them’s fightin’ words, Kelly! Lol . . . actually, I kind of like the Canada Dry Ginger Ale, too. But I’m from Michigan, so Vernors is right up there with Euchre and pasties as a sort of a state thing. Oh my, yes that has got to one of the worst places to be sick in. So sorry! But how great that the store staff were so gracious and kind about cleaning it up. I do love how your son described his tummy as “bubbly.” I’ve heard that before about Michiganders and their Vernors :). I came up with that when my daughter was little. I’d ask her if her tummy felt “owie” or “bubbly” to figure out what kind of stomach ache she had. The terms just stuck. 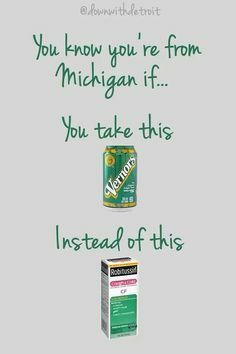 And yes, we Michiganders can be pretty defensive when it comes to our Vernors! So I’ve enjoyed Vernors off and on for years, including some time spent living just north of the Motor City. As for summer jobs, have you checked into Amazon Mechanical Turk or Upwork (used to be called oDesk)? You can get some money (not great, but more than zero), and earn it from your house using your computer. No lifting required. AMT probably clocks in around $5-7/hour, with Upwork being potentially much higher (but you have to build up a clientele, which can be hard and takes time while you develop specialized skills). Hope that this helps, and glad to hear that your boy is feeling better!!! Thank you for the suggestions, Anna! I hadn’t heard of either one, but I’m off to look them up right now! Boy, I sure do wish I had that Vernors here to give it a good side-by-side with my standard Canada Dry! I have a friend whose son wandered into her bedroom after puking in his bed– after Ravioli for dinner! Her husband volunteered to clean the kid if she’d clean the room, figuring the room must be AWFUL if the kid looked that bad. My friend had to change sheets, scrub walls, spot clean carpet, etc. After all that, she discovered that the hubby has just put the kid in the shower, jammies and all! She STILL ended up cleaning the kid!! Lol…. That takes the cake for horrid grocery store-parenting stories. Oh my goodness. I clicked on your link because of the picture of Vernor’s, though. I don’t believe my husband has ever been to Michigan, but you can get it in MD, where we live, and he LOVES the stuff. I can’t hear enough about it, it seems. So it’s fame has definitely spread beyond MIchigan.